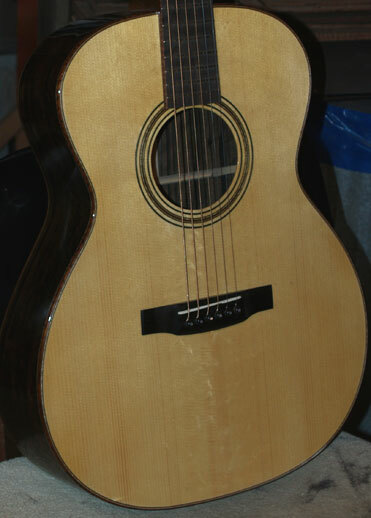 2007 Sexauer FT-15 guitar made fro Malaysian Blackwood and Adirondack Spruce. This guitar is both louder and darker than my norm. I made it to be "modern" in character, whereas most of my work is in the "vintage" vein. I expected to give away more sensitivity that I did. 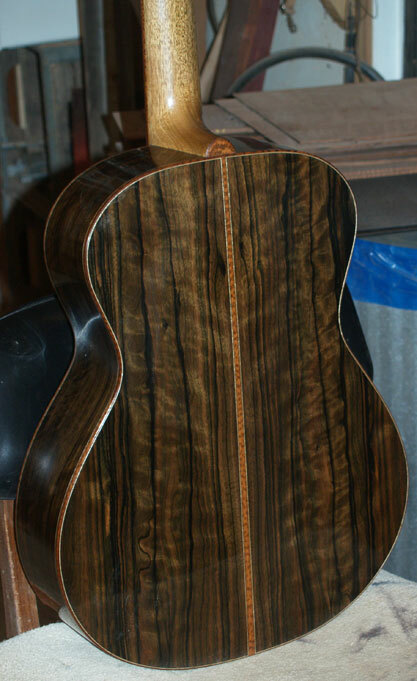 I have to say I am pleased, and will be proud to show it off at the Luthier's Consortium Presentation during NAMM/08 in Anaheim, assuming I still own it. I still have the Pick guard an the truss rod cover to go!